Preservationists have won a small victory in the long-running battle over Richard Neutra’s modernist Cyclorama building at Gettysburg, Pennsylvania. On Wednesday, U.S. District Court Judge Thomas Hogan told the National Park Service that it must fully comply with the National Environmental Policy Act before tearing down Neutra’s 1961 landmark. Preservationists filed a lawsuit in December 2006 arguing that the park service did not follow the law in its 1999 General Management Plan, where it was decided to raze the building. Hogan’s ruling upholds a year-old recommendation from a federal magistrate that chided the park for not evaluating any alternatives besides demolition. According to an article in the Gettysburg Times, the government is reviewing the ruling before deciding its next step. 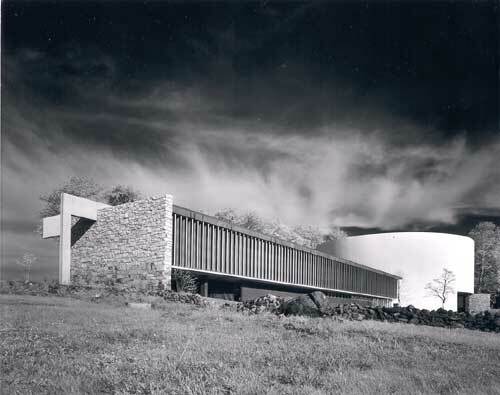 The Cyclorama Center, completed under the National Park Service’s ambitious Mission 66 program, has had many supporters, including Neutra’s son, Dion. The building has been closed since 2008, after the large mural inside depicting Pickett’s Charge was moved to a new visitor facility on another part of the battlefield grounds. The park service wants to demolish the building in order to restore the landscape to its state during the famous 1863 battle. AN offered some possible alternatives for the structure earlier this year.